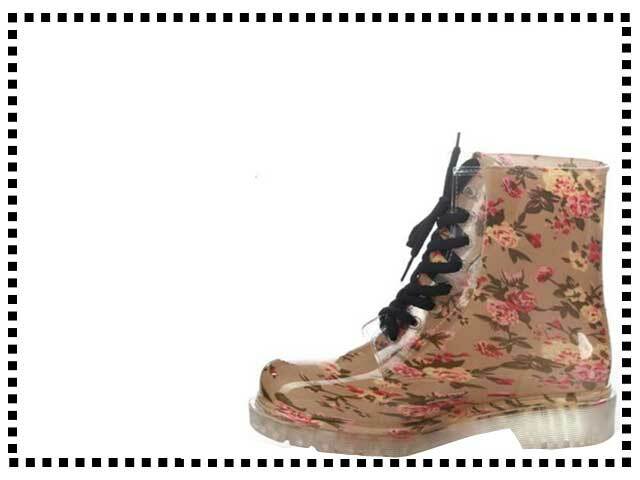 Transparent PVCs that look fab and keep your feet dry. Available in a whole range of colors and designs, these are adorable. Click to shop for similar. I love these boots, they look like see through Doc Martins, awesome. Cool boots, but not true to size. At least a size too small. I love these compared to normal wellie boots. A joy to wear outside. Lovely cute boots. Arrived a bit crushed but they straightened out OK.
Look and feel great. Super for wearing to work on rainy days. 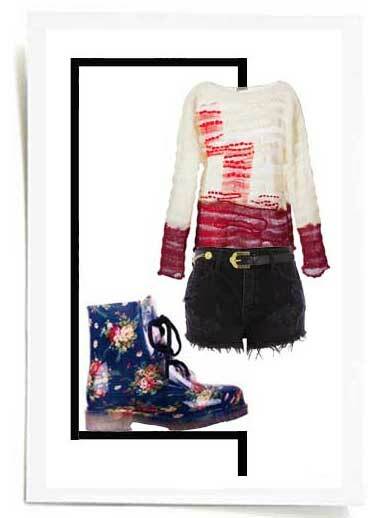 Left – Cute outfit with floral jelly rain boots.